« Sir Michael Caine – A pint of bitter… in a thin glass. Tommy Nutter began his career apprenticing at Kilgour, French & Stanbury on Savile Row learning traditional tailoring. He teamed up with a Kilgour-trained tailor named Edward Sexton, and on Valentine’s Day 1969 they opened their own business ‘House of Nutter’, backed by Cilla Black and Peter Brown of the Beatles’ company Apple. 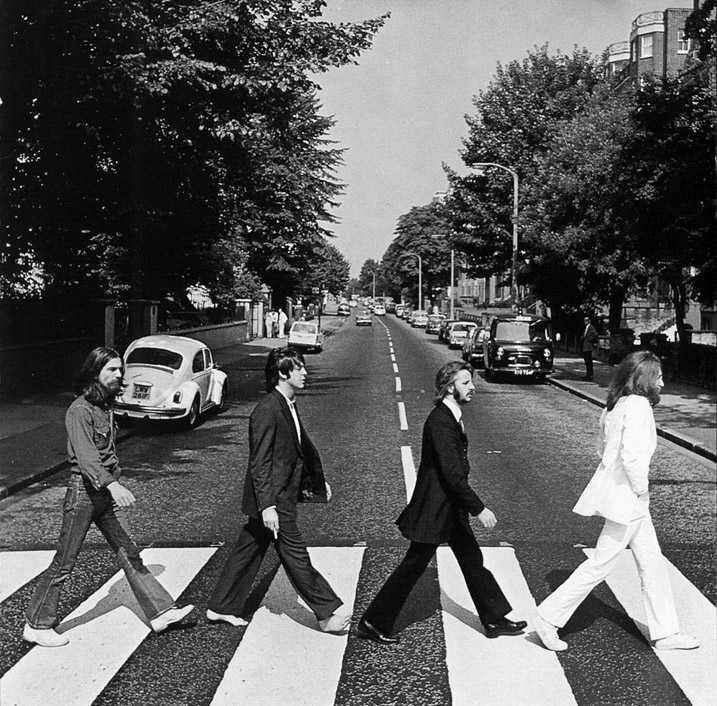 The original suits and bold window displays there created quite a sensation on the traditional Savile Row which now had the House Of Nutter at one end, and the headquarters of The Beatles’ crazy company Apple Corps at the other. 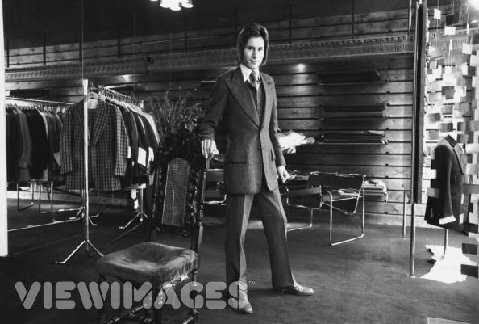 In the mid 1970s Tommy and Edward Sexton parted company and Tommy vacated the premises at 35 Savile Row. In The Savile Row Story published 1988 Tommy remembered, ‘Everybody was wearing a narrow suit at the end of the 1960s…so I just went wild with the lapels and cut them as wide as you possibly could -enormous- and it was terribly flared at the jacket. So that was my first look and it was different from anybody else’. Edward continued the business with two other tailors under the name “Nutters” but eventually went off on his own, leaving his partners to found Chittleborough and Morgan. Tommy on the other hand took a little time out from the fashion world. He eventually began working again for Kilgour before opening his own shop “Tommy Nutter” at 19 Savile Row (starting with a collection inspired by the 1930s era) which continued trading until the early 1990s when he passed away. In later years he also leant his name to a range of ready-to-wear items. 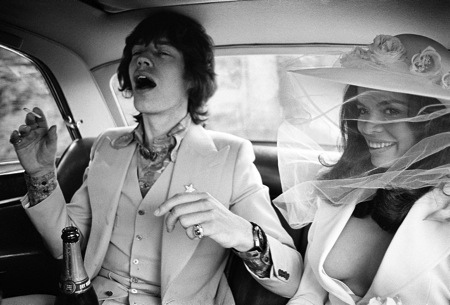 Famous creations include the powder blue suit Bowie was photographed wearing for his Pinups LP, the three suits worn by The Beatles on the Abbey Road cover (George Harrison depriving the designer of a full set by wearing a shirt and jeans instead of his much worn 1968 House Of Nutter Suit which matched Ringo’s) and the white trouser suit that Bianca Jagger wore for her 1971 wedding to Mick Jagger. Other famous customers include Mick Jagger, Eric Clapton and Steve Harley whose 1977 world tour suit by Tommy sold recently at Bonhams for £700. You can also see an exaduration of his flamboyant style in the first Batman movie, for which he designed Jack Nicholson’s “Joker” character outfits. 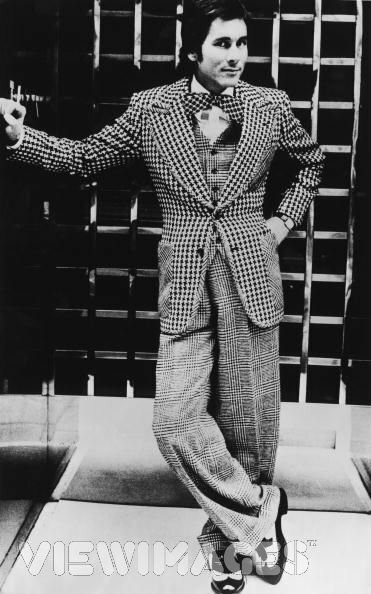 He also dressed the eccentric and flamboyant photographer Norman Parkinson. Tommy contracted AIDS and passed away in 1992. He left behind his ex-business partner Edward Sexton who still tailors in New York, and a legacy of apprentices whos work reads like a who’s who of the modern fashion world.